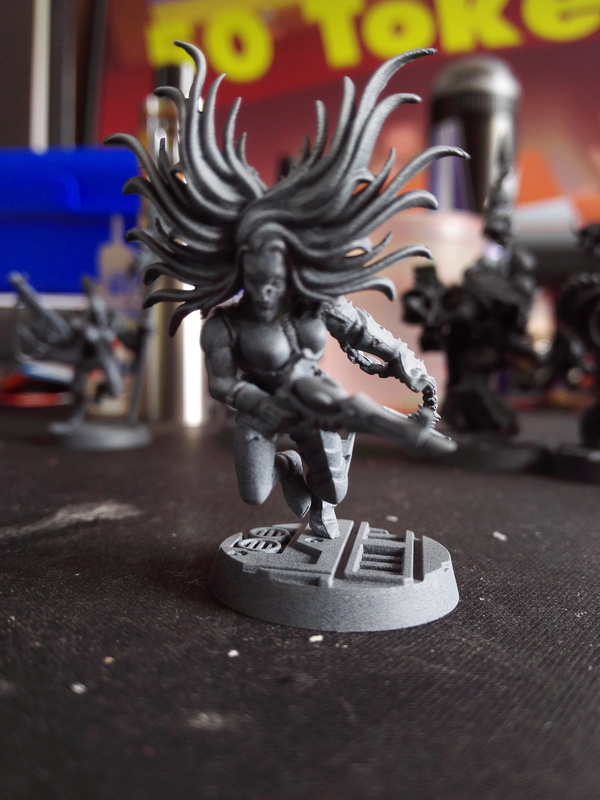 So Kill Team is about to drop - I am super excited for it as I am not really in a position to play many high-point games and I like making my models pretty personalised. 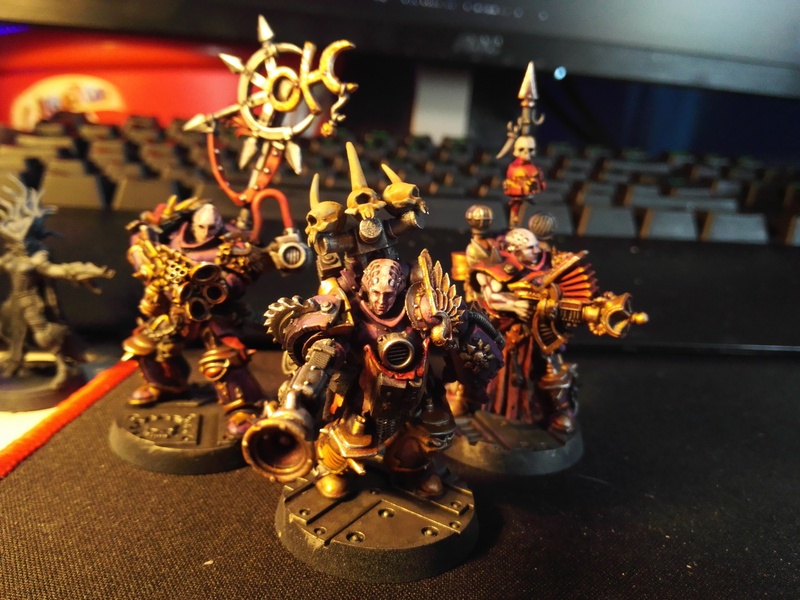 This lead me to make a new kill team inspired by Primogenitor I present to you my Emperor's Children Warband so far. No names at the moment, will work on that as I go! 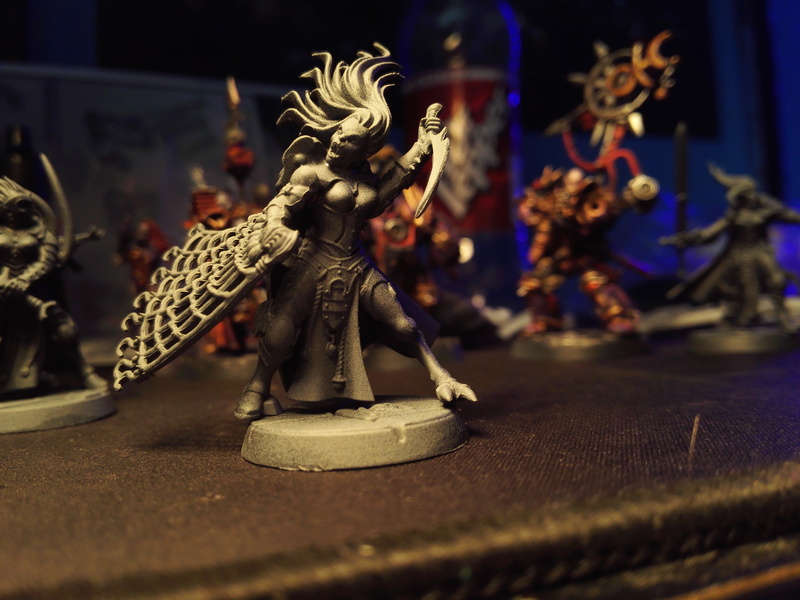 They look great so far, nice use of Puppets War bits. Thanks man! Can't paint yet got work, will update on progress. Very characterful. Possibly swap the DEldar pistol on one of them? I kinda like them - but I suppose I could swap one for a bolt pistol perhaps. It'd just be to aesthetically distance it a bit more from the DEldar. 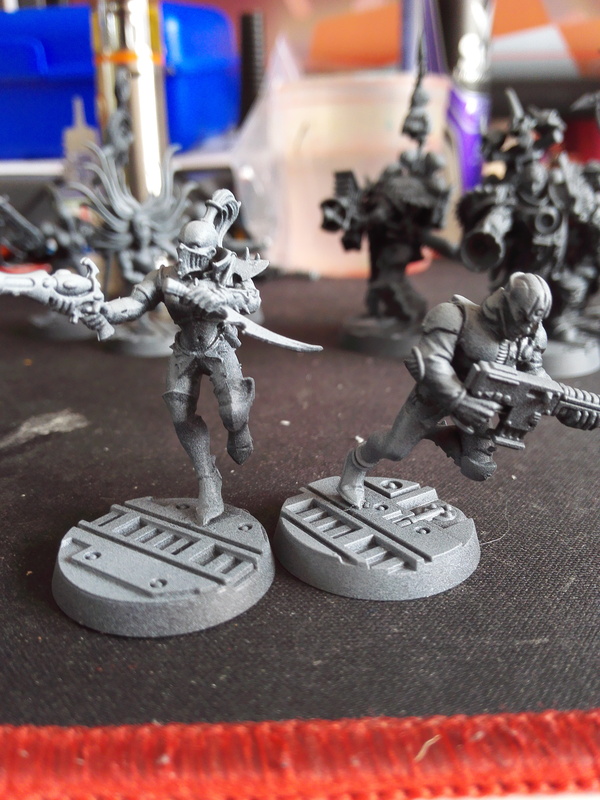 It's fine using them as a base, they lend themselves to Slaaneshi cultists very well, but if the weapons are the same it just kind opf makes it look too much like random Wych being with some EC. Just my take, if you really like it stick with it. 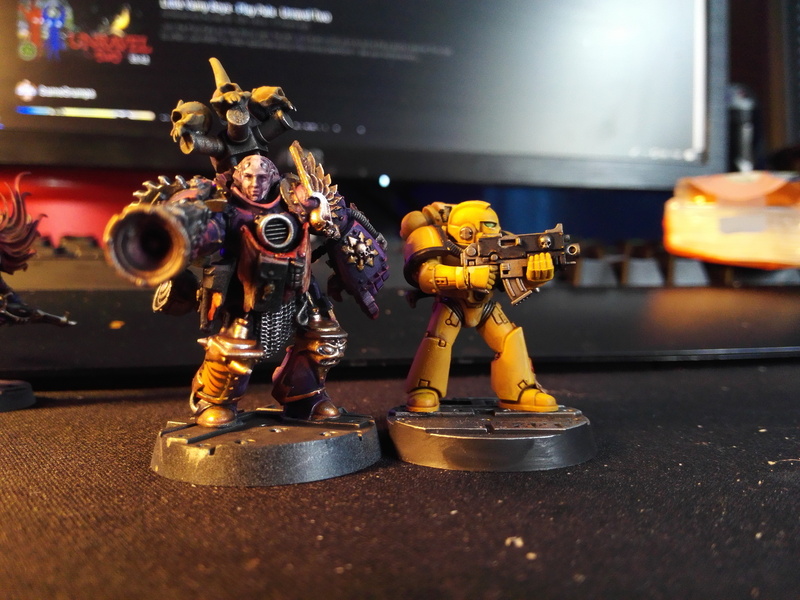 That's a fantastic kill team you've got there! 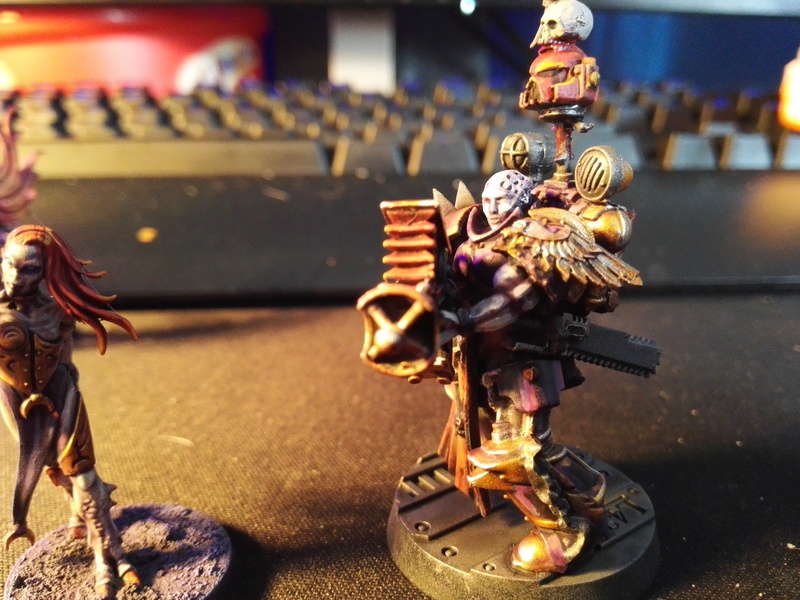 Some very imaginative conversions. 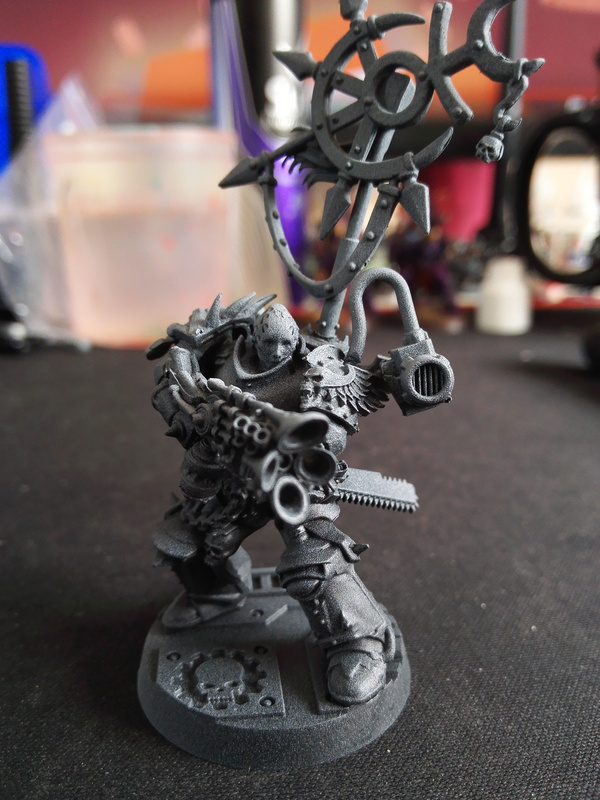 What parts have you used for the chest plates on the Noise Marines? I get what you're saying but at the same time the Gland Hounds use scavenged gear from old Imperial Army/Navy weapons to Eldar Corsairs weapons so it's not too much to worry about weaponry wise, maybe adding some differing armor plating would take away the Wychyness from them a bit, good crit though but with a bit of paint on the Wych-ness should go away due to the other parts and lack of pointy ears. Thanks man! 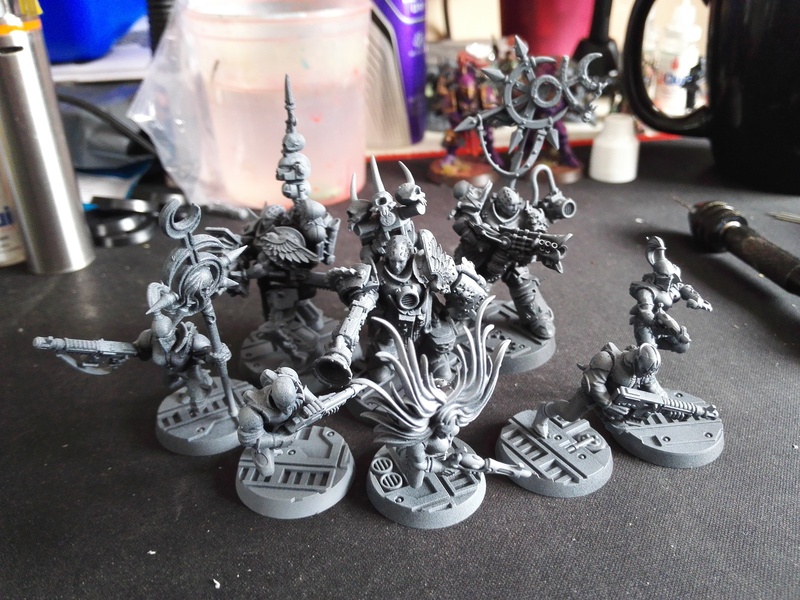 Just Stormcast Eternal Liberators with some Greenstuff and gear in between to add height as there is no central core in there right now ahaha. Tried to make it have a juxtaposition from artificed armor to tabards/underarmor made from flayed skin. (I have gone full traitor now ahahah). One Marine mostly done, still need to touch up some areas and add some smaller detail work and do the base, but happy with him so far! This is bizarre and tantalizing! I love it! 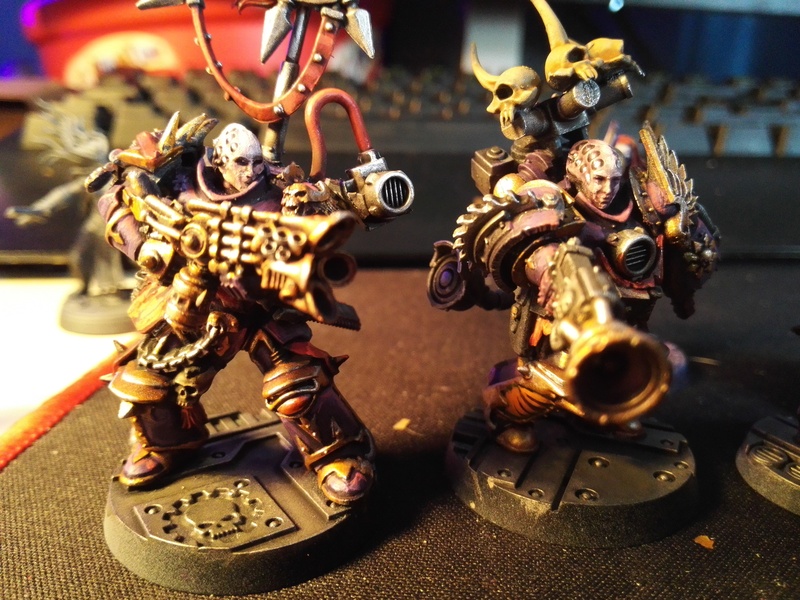 The kill team looks stunning, bud! 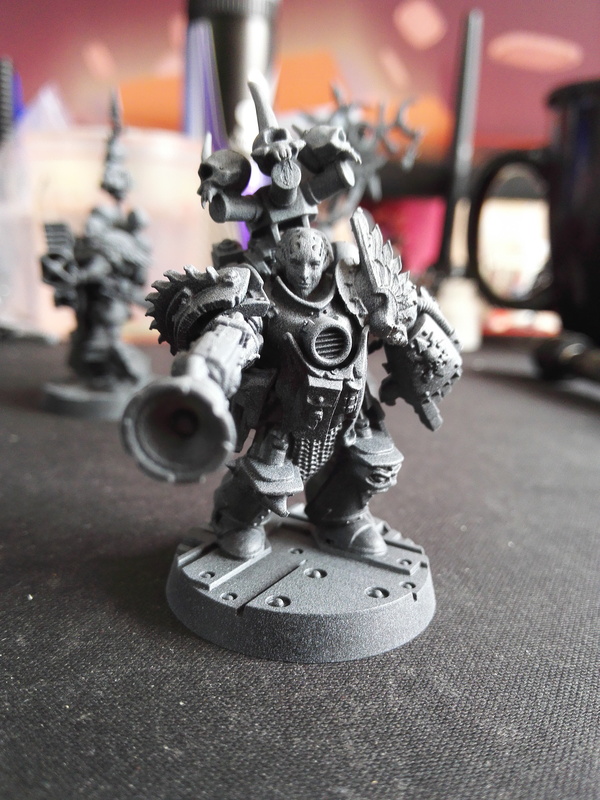 Are the noise marines mostly third party bits? I know I've seen that alien head before. Great use of parts, those heads and sonic weapons especially. 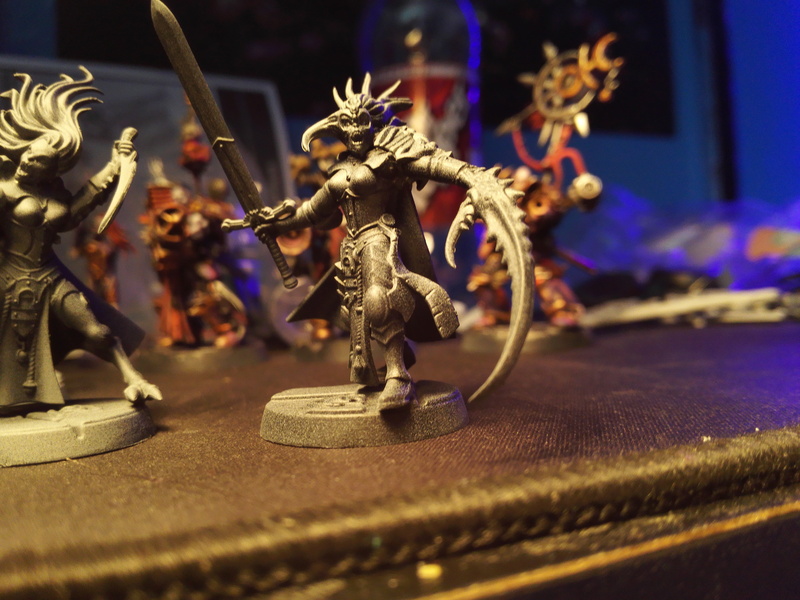 The Dark Eldar kits work well to make Slaaneshi cultists and the whole group aesthetic is very cohesive. 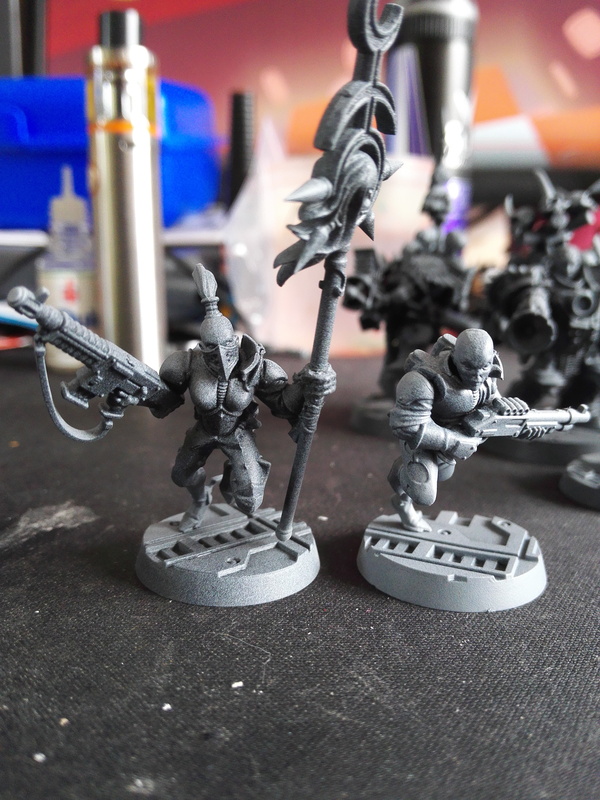 Their heads, weapons and left shoulder are 3rd party, rest is GW bits from my bitsbox. Cheers dude, but I did take the crit listed before and made some adjustments! The group now has a name - The Sonique Serenade! 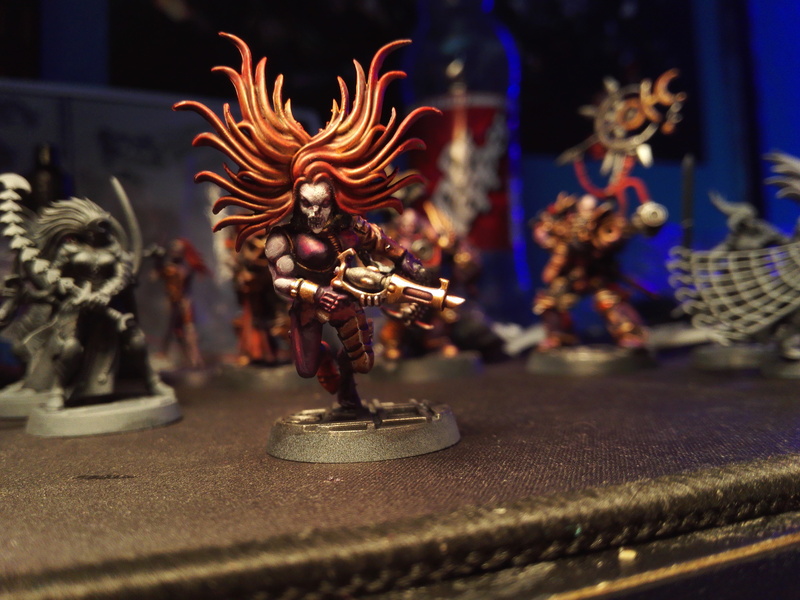 That's the colour scheme I am aiming for too. Here are the big boys, and they are big! Still working on the faces, but the armor is nearly done! The Sonique Serenade sounds awesome just like the team members! 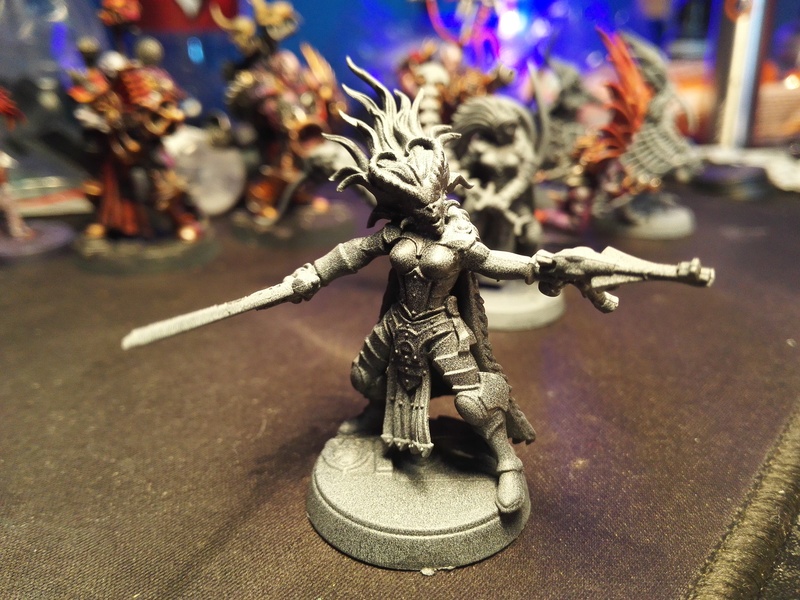 The new count-as tzaangors look wickedly ravishing. I like the mix of bits you used in there. 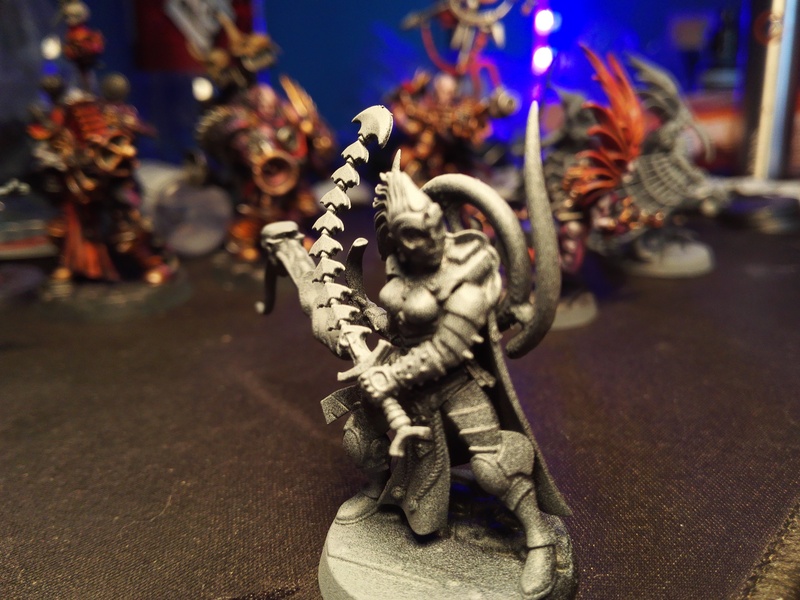 I am also really liking the sonic weapon of the standard bearer. 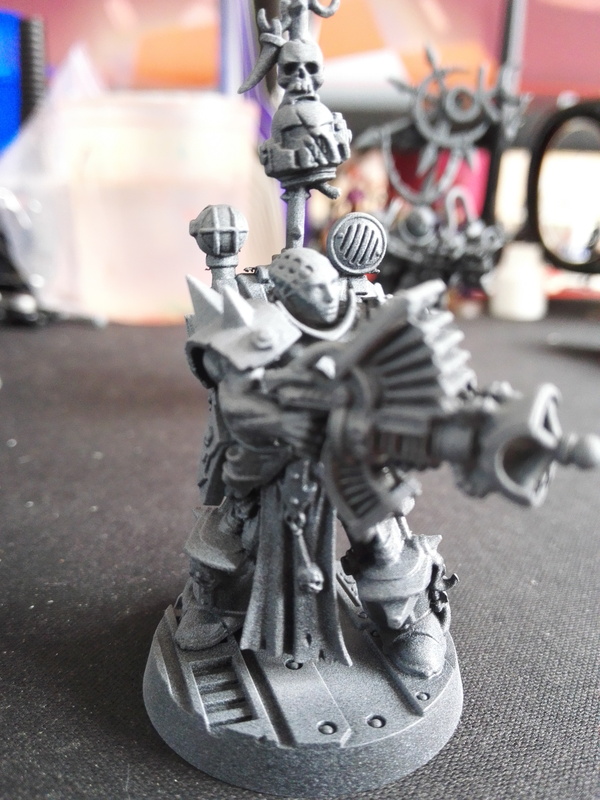 Making me wish Noise Marines will be an option soon so I can get my EC into the game. I like them far more. Read more of Clonelord and just made me want to redo it all. 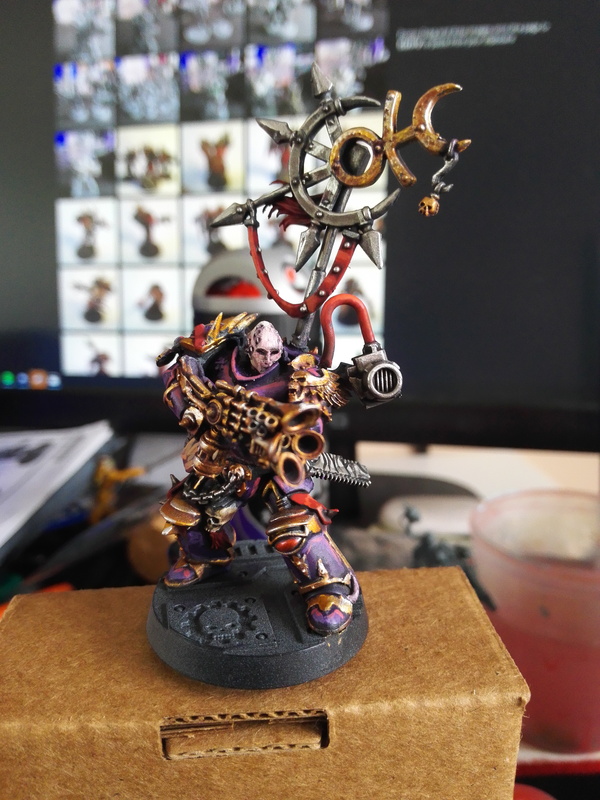 Every day I hope to hear about an Emperor's Children release on the Community site... Please GW. Those noise marines are great! Where did the heads come from? They've got an eery feminine quality to them that I find alluring. Its a unique counterpoint to their size and REALLY big guns.